Introducing Wilson Clash! 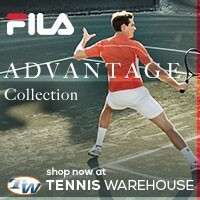 This is a brand new tennis racquet line from Wilson Sporting Goods. 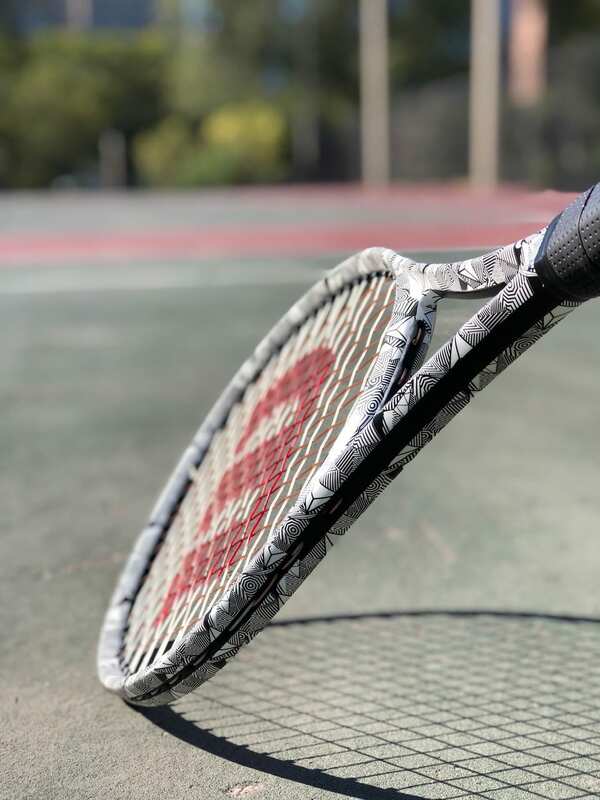 I was fortunate enough to get my hands on one of the Wilson Clash racquets to review and let me tell you, Wilson has done something quite spectacular with this tennis racquet. You can read my original Wilson Clash release over here. 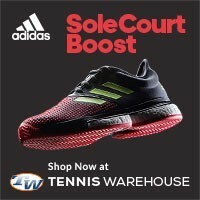 Wilson Clash is available to purchase at Tennis Warehouse today! 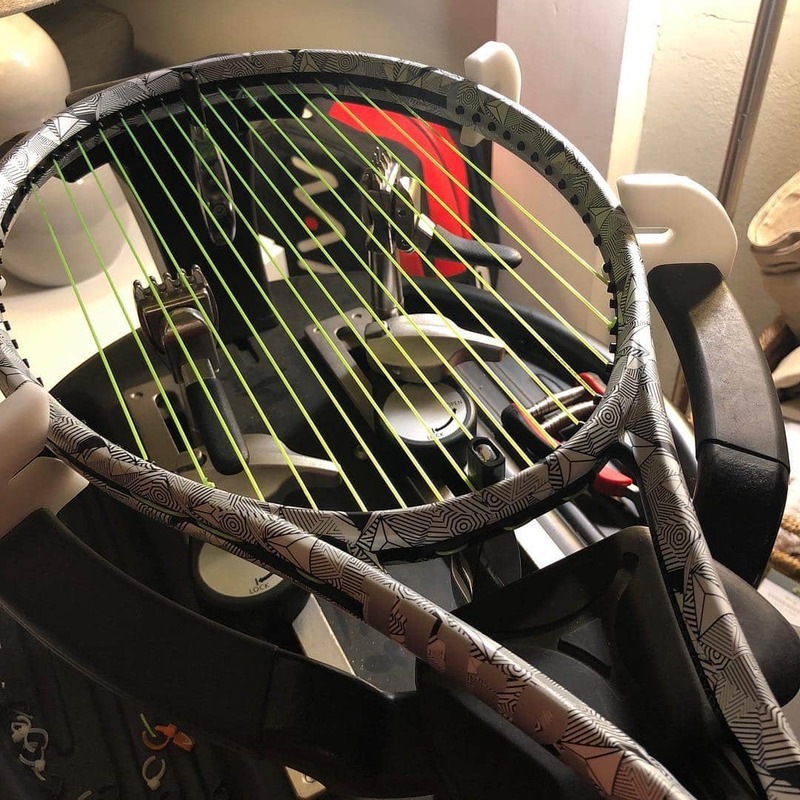 Though, before I begin my Wilson Clash review, I have to preface this with some additional insight; I do not actually have any official specs on the racquet. Wilson has not, at the time of this review, released the Wilson Clash specifications. So, I took my own measurements at least the weight and balance. While Wilson has not yet released specifics of the new racquet, I did take some of my own. I don’t have all the fancy machinery to measure frame flex or string deflection, I do have a scale and a balance board! Wilson Clash Weighs in at 326 grams (11.4oz) strung and has a balance point of 31.5cm (9 points head light). …we do recommend a low tension. Since the frame is quite soft and flexible, we definitely recommend a poly string! With that information, I went with a set of Luxilon ALU Power 1.25 Lime at 46lbs (21kg). Installing the strings was pretty standard; the string pattern is 16 mains and 19 crosses, so there wasn’t a lot of weaving and the spacing between mains was of ample size. The mains start at the throat and end at the throat. There aren’t any shared holes so this string job was straight forward. Done and done. To be honest, I was quite concerned that the frame was just too light from the first moment. At least it felt too light because of the balance of the frame; a lot of weight is in the handle so when just holding it, it felt just far too light. When I received the Wilson Clash in the prototype cosmetic, which I think is super neat and incredibly unique. Wilson told me that the current prototype cosmetic is not their final and full production look once the Wilson Clash hits the market. I am certainly interested in seeing what the finalized retail version will look like. The head size, I believe, is 100 square inches (645cm) which is slightly bigger than what I usually play with; so having all that extra racquethead real estate was something was interesting to me. Potentially offering a bigger sweetspot and a more forgiving stringbed on off-centered shots. When I got a chance to get out on the tennis courts to hit, I knew from the first ball this frame design was going to be a winner. During my warm up, I could immediately feel how comfortable it was due in part of the low flex rating and the lower tensioned tennis strings. From the warm-up to full court drilling the Wilson Clash showed me what all the hype was about. This tennis racquet is truly unlike anything I have played with in recent years. Full swings felt absolutely incredible. The frame itself has a lower swingweight, which made it easy to swing, and the low flex but the power level is actually quite high. Every tennis ball I hit felt like it was coming off the stringbed with good pace and with great depth. My forehands were very accurate, the flexibility on the Wilson Clash gave me the ability to move the ball around wherever I wanted. It was a true delight hitting with this racquet! Because of the 16 mains and 19 crosses stringing pattern, the spin I was able to generate was plentiful. Easy top spin forehands and deep penetrating backhand slices were a breeze to hit. I never felt that I had to change my grip to generate the spin needed to get the ball to drop in; the frame did it all on its own. Additionally, because I knew the racquet could perform and give me the spin, depth, and control that I was looking for; I felt confident in relaxing my arm. I never once felt my arm getting fatigued from playing, like some other racquets tend to do. You’re probably reading this and thinking, what about his serves? Let me tell you, Wilson Clash is a servers delight. The powerful frame and open string pattern allowed my serves fly with deadly speed and precision. My flat serves went exactly where I intended them be; kick and slice servers were, while not crazy spinny, finding the lines and the corners with enough spin to move the ball away from the receiver. Again, my arm never felt tired or tender from playing with this tennis racquet. At the net, Wilson Clash performed equally at net as it did at the baseline. All of my volleys were crisp, comfortable, and easy to move around. Even with hard hit passing attempts, the frame was completely stable. There was little twisting, not enough to cause any performance issues. Those touch volleys were easy to hit; the racquet absorbs a lot of the ball energy so setting it nice and short were practically effortless. 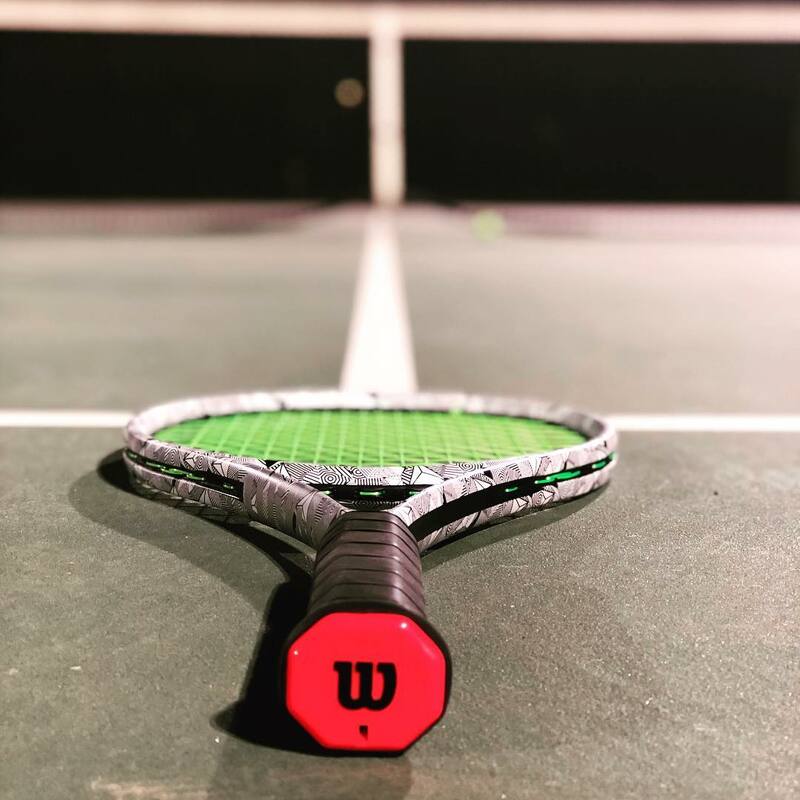 I’ve spent several hours playtesting the Wilson Clash tennis racquet and I am convinced that this is a tennis racquet that will need to be in your tennis bag. 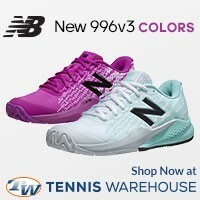 The power, comfort, and control should be what tennis players should be looking for. It’s very easy to swing, gave me some confidence, and felt pretty darn amazing. Like I said at the beginning of my Wilson Clash review, I don’t know what the cosmetics will be when it comes to market, but I like the current “prototype” cosmetic. Makes it look like nothing that’s been produced before. So when is Wilson Clash going to be available to buy? From what I’m told, mid February 2019. Be sure to at the very least demo it once, just to compare to your current racquet. I promise, you won’t regret it. 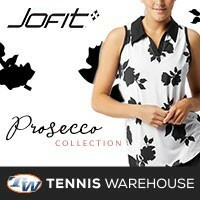 Make sure you check out Tennis-Warehouse for pre-order information.